Have you had one of those emotionally draining days? One of those days you are trying to help someone who is seriously ill and dying. Sometimes it is emotionally harder because they might be closer to your age, reminding you that cancer or tragedies have no mercy. Additionally, when you are helping others while you are also trying to care for a friend or a loved one who is seriously ill can be overwhelming. To be honest, the fear of being emotionally drained made me hesitate before deciding that pursuing a career in palliative medicine was right for me. I once heard the palliative care pioneer David Weissman say “I have a limit on the number of difficult family meetings I can handle in a day, and that number is four”. No matter how seasoned you are, difficult cases will take a toll on you. Being early in your professional career certainly puts you at a higher risk for burn out. More than once we have made changes to the clinical rotation situation of learners in a personal crisis to allow for some rest, recharging and refocusing. So why do we do this palliative care work? Palliative care work can be rewarding when you are able to work as a team to help patients and family at a critical time in their life. So as palliative care needs grow how do we take care of ourselves to continue doing the work we do? An Important strategy for self -care is to attain a balance in both professional and personal dimensions. The wellness wheel 2 recognizes the following dimensions: physical, intellectual, emotional, spiritual, social and occupational. See figure 1 for a schematic representation of a person achieving balance in their life. On the other hand see figure 2 depicting an out of balance wheel. 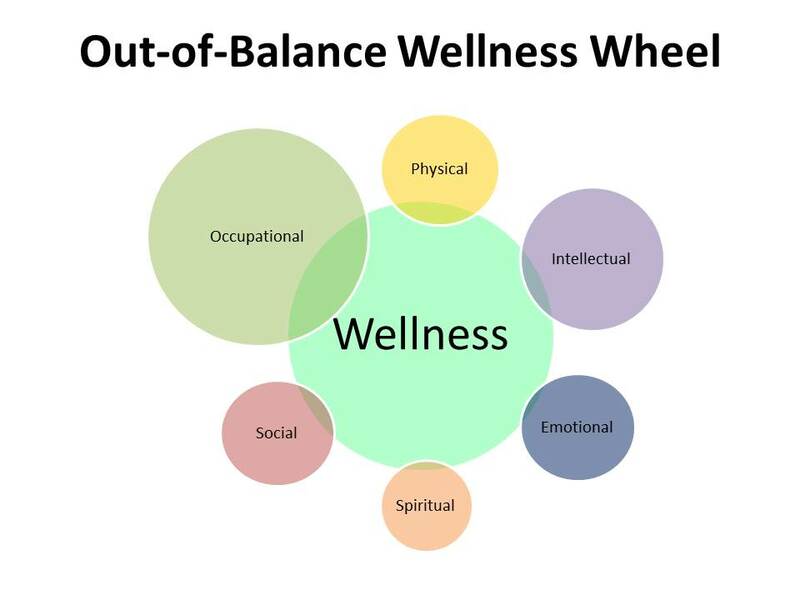 This wellness wheel is that of a person who is obsessed with the occupational dimension of wellness. 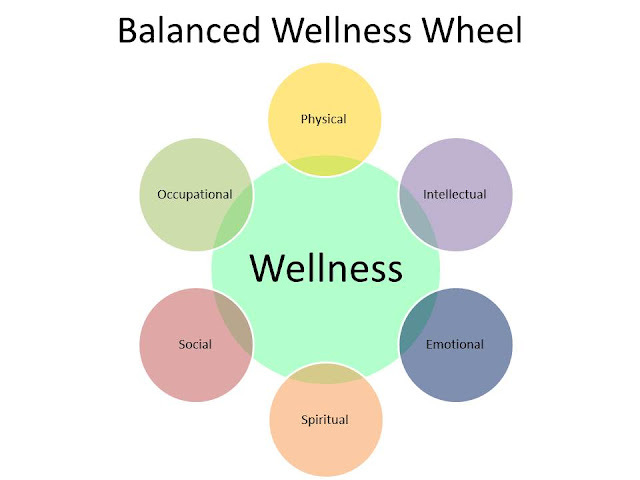 He/she is engaging in the occupational activity to an extent that there is little time to attend to elements in the other wellness dimensions. Personal: prioritizing close relationships with family and friends, maintaining a healthy lifestyle (e.g. balanced diet, adequate sleep and exercise), making time to rest (vacations! ), and pursue hobbies. Professional: practice self-awareness, set limits, create a network of peers /coworkers, improve communication, and practice reflective writing. For more strategies on self-care see the video companion to the article here. Interestingly in the same issue of the supportive oncology journal there is an article by Mougalian and collaborators looking at factors associated with burnout among oncology fellows. Oncology fellows across the United states completed surveys that evaluated the level of burnout . 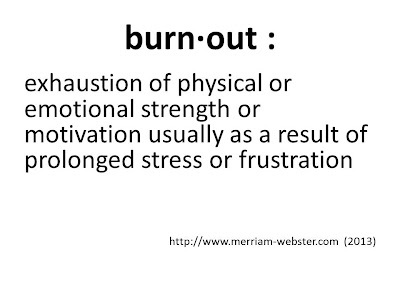 The prevalence of burnout was high; with over half of the oncology fellows reporting burnout in at least one of the 3 areas. Fellows who reported receiving good quality palliative care education (Teaching on opioid management, hospice criteria, and goals of care discussions) were associated with less burnout. What are your self-care plans? Cases: What Do I Say To My Kids?